Happy Monday! 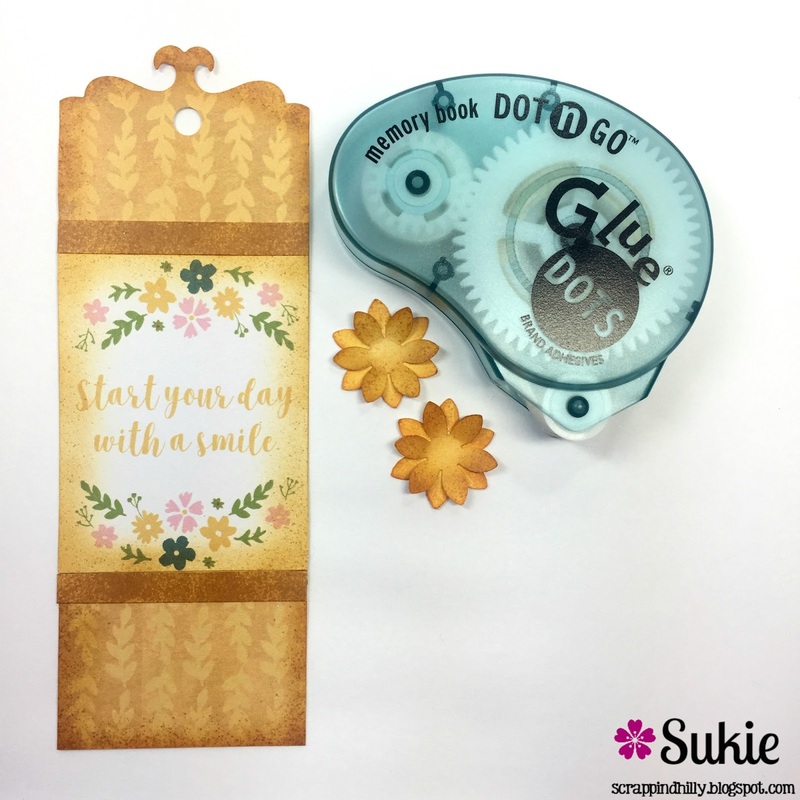 This is Sukie and today I have a bookmark to share. The design team was challenged to use the mustard yellow color for a project this month. 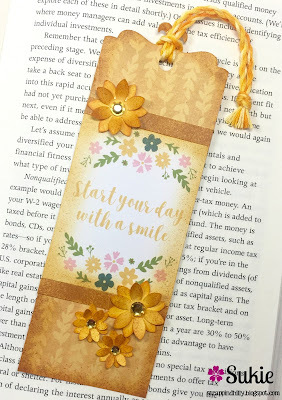 This color theme inspired me to create a bright and cheery bookmark for my project. I found the perfect papers in the new DCWV Watercolor Garden stack. I punched out some paper flowers using some scraps and found some coordinating embroidery floss. Unfortunately, none of my twine colors coordinated with the mustard yellow challenge. 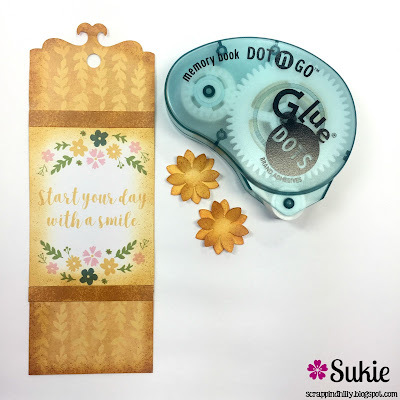 To create a finished edge on my bookmark, I used my Cut 'n' Boss and a die from my collection. The next step was to shade everything using my eBrush. I intentionally used a light to dark shaded affect on my papers to keep everything from blending together. 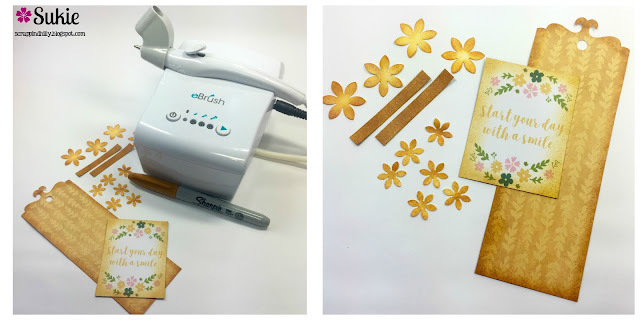 This technique also helps to provide dimension to each of the layers, especially with the flowers. 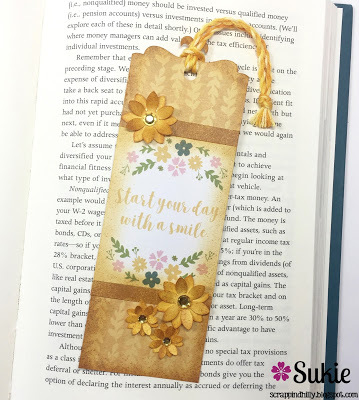 I adhered the sentiment tag and a couple of decorative strips to the bookmark. My Glue Dots were perfect for layering my flowers. A few bling stickers finished off each of the flowers. 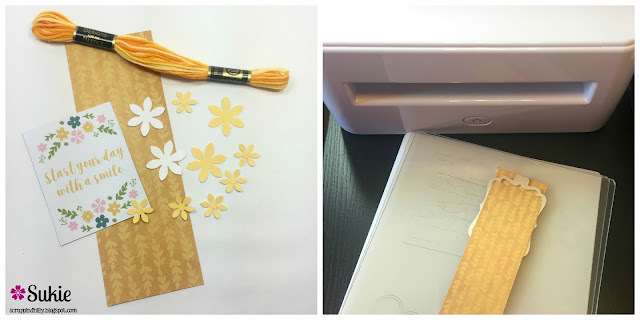 I used the Sizzix Twist & Style Tool to create the twisted embroidery floss for my bookmark. 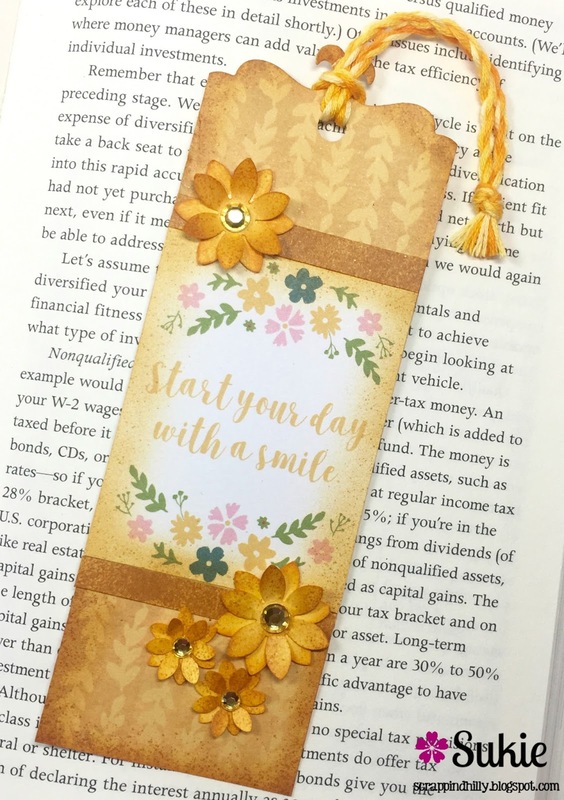 The different shades in the embroidery floss work beautifully with my bookmark. Even with a monochromatic theme, the eBrush helps to provide extra depth and dimension.